October 22, 2014. 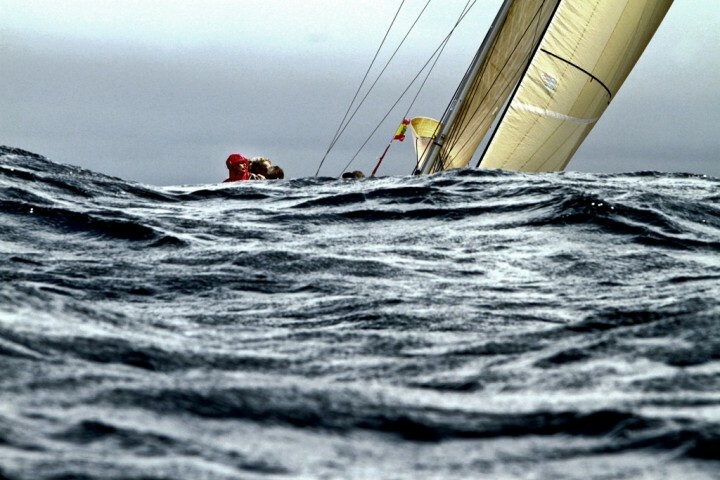 Leg 1 onboard MAPFRE. Carlos "el canario" Hernandez attaching the tack line to the A3, just before the pilling.